The new “Pantsir-ME” will be able to intercept missiles during rough seas, rain, wind, and even storms. The "Pantsir" is a short to medium range surface-to-air and anti-aircraft artillery system that covers Russian soldiers in Syria - might be installed on next generation ships. A new sea-based missile system was presented to the world on June 28 during a naval show in St. Petersburg. However, the project hasn’t yet been greenlighted by the Ministry of Defense, so it remains to be seen if it will be adopted by the Russian military. What’s the difference between the sea and land versions? The new “Pantsir-ME” will be able to intercept missiles during rough seas, rain, wind, and even storms. It will also be more compact and covered with an anticorrosive sheath to ensure its longevity. “The biggest difference is that ‘Pantsir-S’ missiles have to intercept targets coming at them from above - mostly via predicted flight paths. Meanwhile, anti-ship missiles reflect the water’s surface and travel close to waves during storms which makes it hard for computer systems to predict their flight path,” Alexander Zhukov, chief designer at the High Precision Systems corporation, told RBTH. The company builds Pantsir systems for the Russian army. Another big difference is the fire rate. The Pantsir-S systems can shoot 80 artillery projectiles per second (4,800 per minute), while the sea-based system will be able to fire 160 projectiles per second (nearly 10,000 rounds per minute). The Pantsir-ME can track and shoot down four air targets at the same time including jets, bombers, UAVs, and missiles. 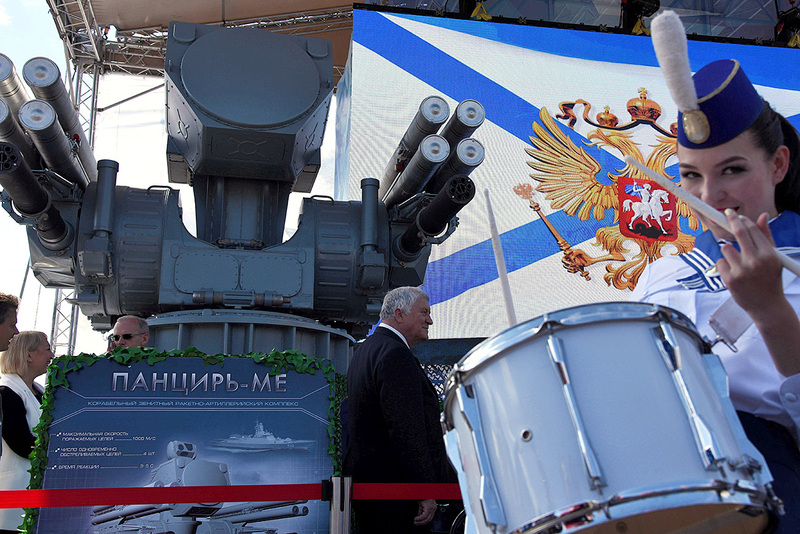 “The Pantsir-ME creates a 20 km anti-aircraft dome around the ship it’s installed on. That makes it an effective defense weapon in potential future conflicts,” CEO of High Precision Systems, Alexander Denisov, told RBTH. Which ships will get the new Pantsir-ME? As some military experts believe, the new system will be installed on smaller coastal ships. “At first, the Pantsyr-ME will be used on the Caspian fleet - then other Russian ships in different regions will get the system,” said editor-in-chief of the Arsenal Otechestva magazine Viktor Murakhovsky. Meanwhile, Denisov said the Russian Navy has already ordered a number of the systems. “The order would secure the company's factories for years to come,” Denisov added, without confirming if pen had officially been put to paper. Read more: Why is Russia creating the biggest aircraft carrier in the world?